Wow! 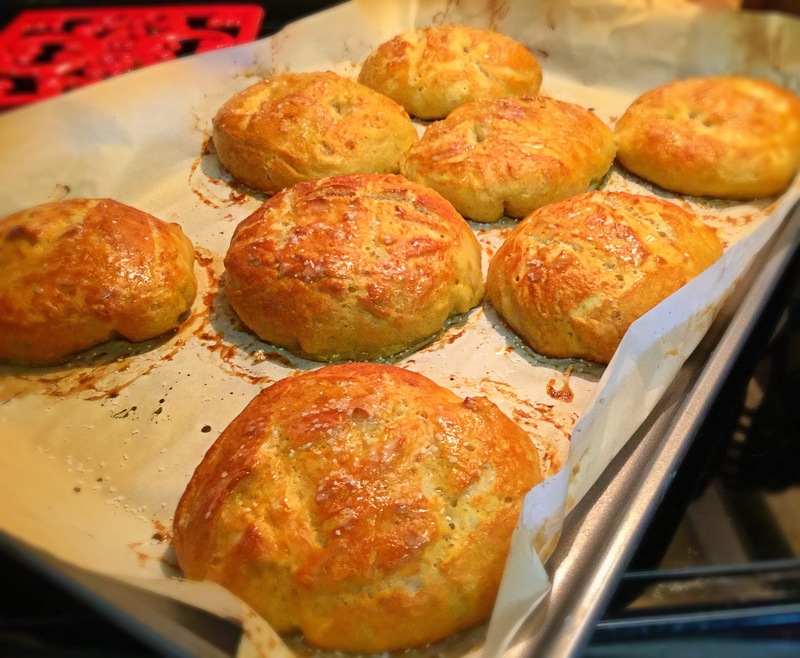 Scratch made pretzel rolls will make anything taste good. Guaranteed. 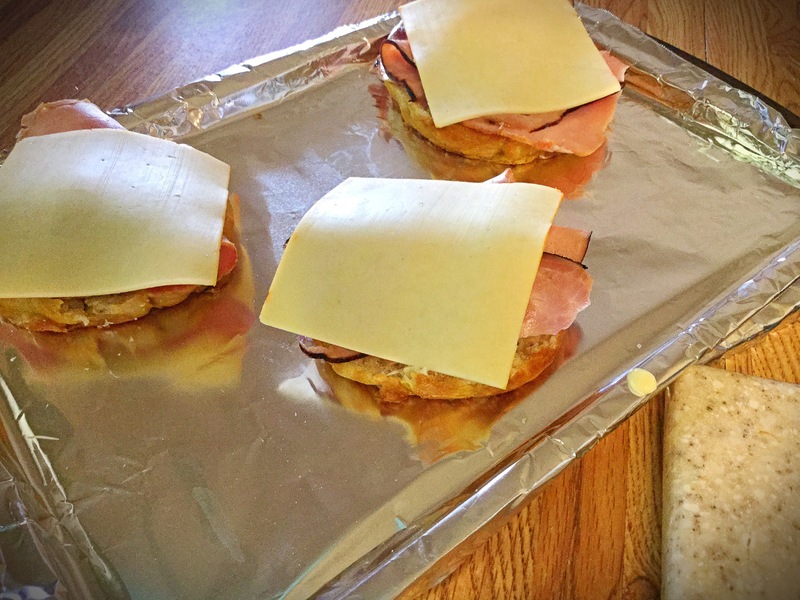 Which is why this normal ‘boring’ ham & cheese sandwich just got taken to a whole new level! Served hot with the melting cheese and salty crust of your warm pretzel roll…to die for. Ok..that may be a bit extreme, but you get the idea. 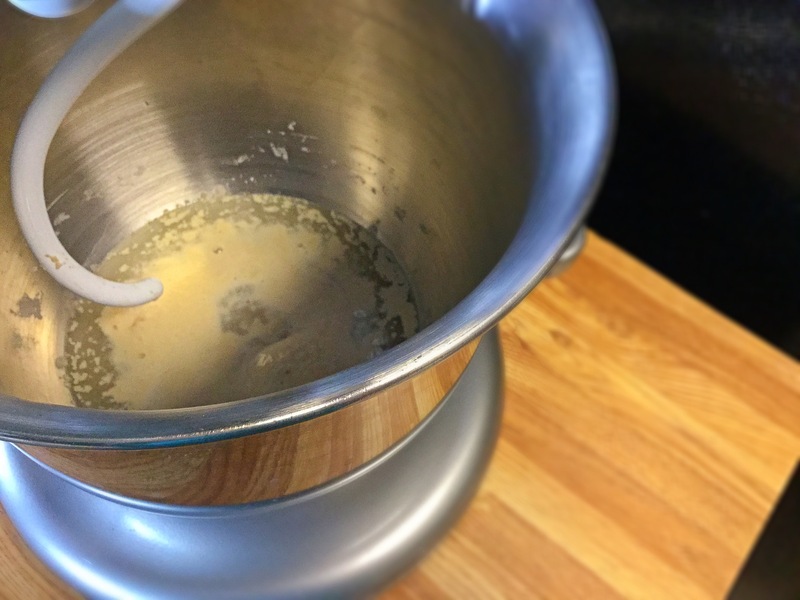 Making homemade pretzel rolls really isn’t as hard as one may think. If you have a stand mixer and an hour & a half to spare, you’re sure to impress your family with these! In your mixing bowl, combine the warm water, yeast packet and both sugars. Gently give it a quick stir and let sit for 10 minutes. It will foam up a little bit. Fitted with the dough hook, add in the flour, salt and 4Tbsp of the melted butter. Mix on medium speed till just combined. *preheat your oven to 350. Once ready, turn oven off. You just want the back of your stove to be slightly warm. Scrape edges of bowl as necessary to incorporate all ingredients into the dough. Cover the bowl with Saran Wrap and a tea towel. 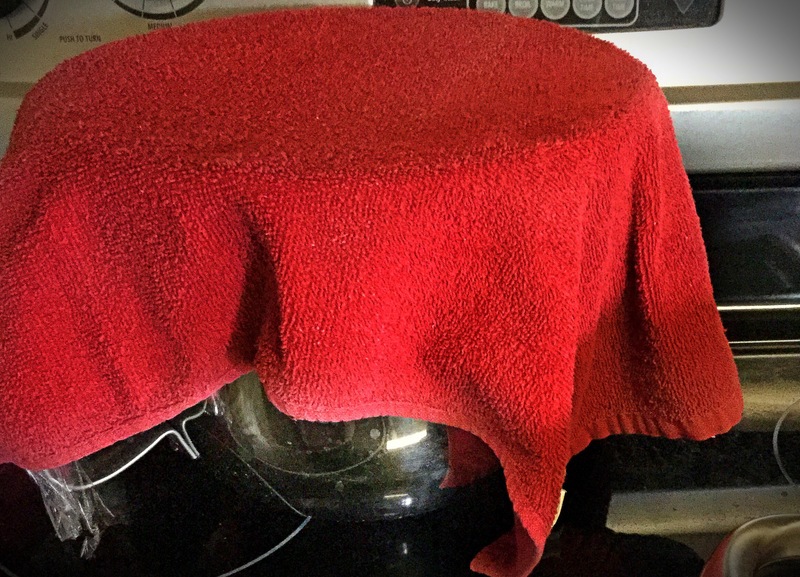 Place covered bowl on the back of your stove to rest and rise for 1 hour. 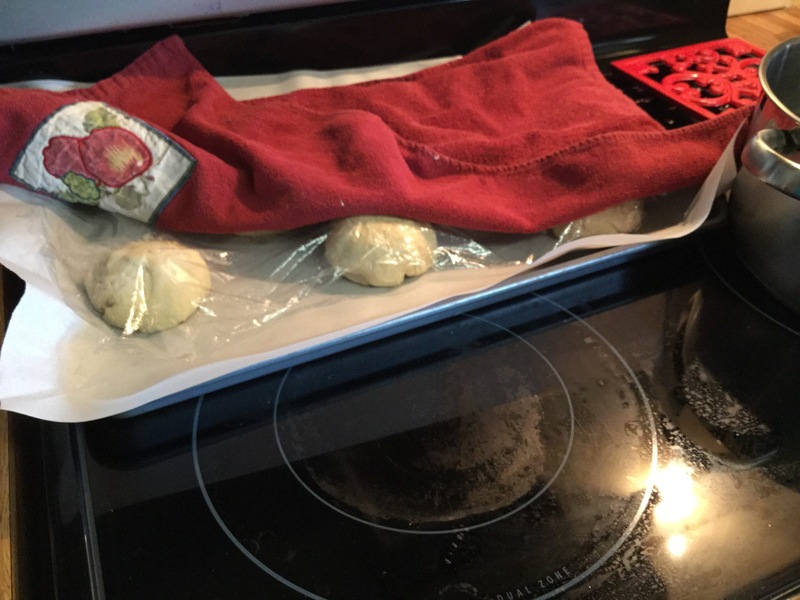 *now you have an hour of free time!..or in my case, time to fold the laundry or pick up toys..
After the hour is up, your dough will have appeared to almost double in size! 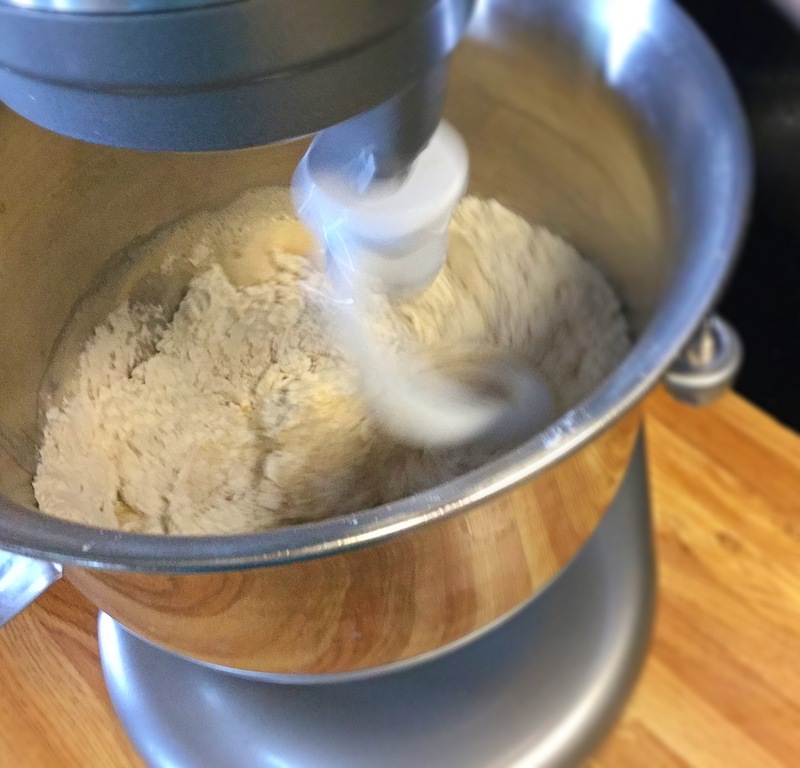 Uncover your dough and literally give it a soft punch. I love this part. It will deflate just a bit. 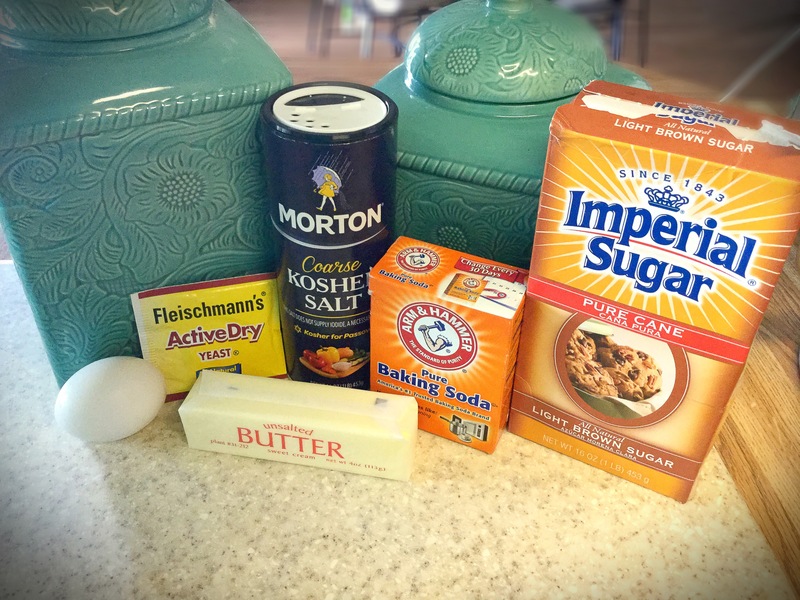 Transfer the dough from the bowl to a clean, lighty floured counter top. Here your going to divide into 8 equal parts. Form into a ball with your hands and place on a parchment lined baking sheet. They should be a good 1″ apart from each other, I stagger them. Recover with Saran Wrap and the tea towl and place back into the stovetop for 30 minutes for its 2nd rise. 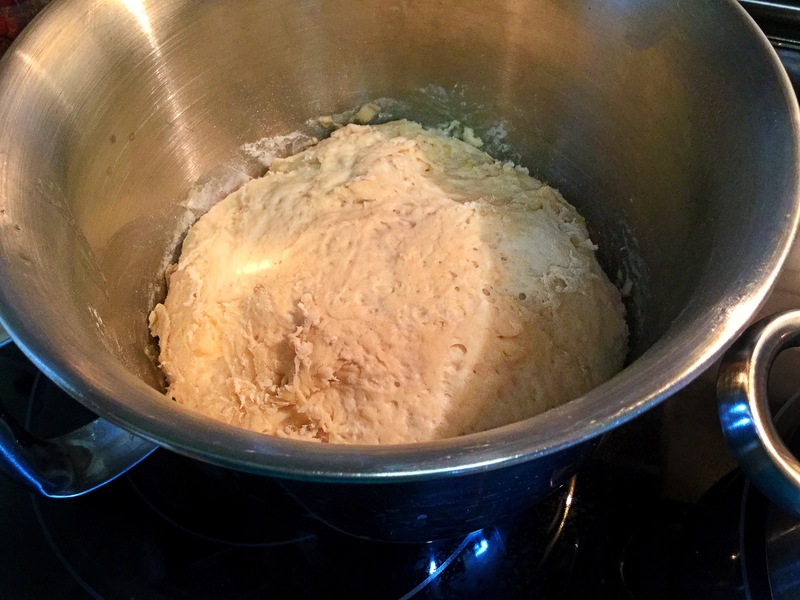 When those are getting close to done with their 2nd rise and have almost doubled in size, bring about 2 quarts of water to a low boil. Also, preheat your oven to 425 degrees. 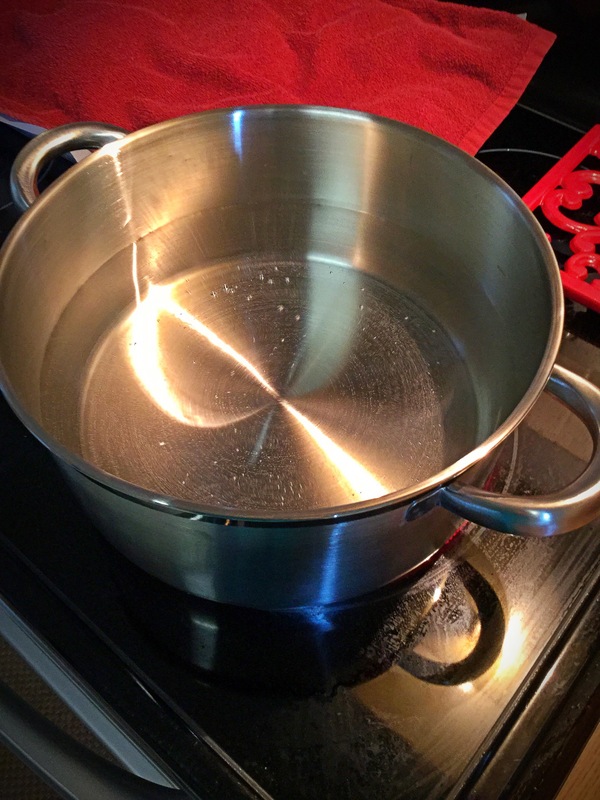 Once the water has reached its low boil, remove from heat. Slowly (and I do mean SLOWLY) add in the baking soda. I’d say just a tbsp at a time or you’ll have a huge overflowing mess. *you didn’t know you’d be doing a science experiment did you?? 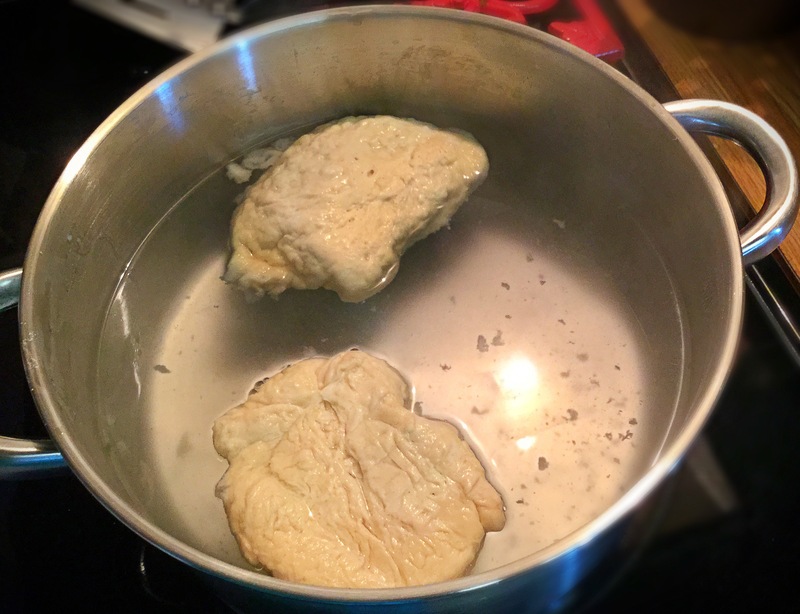 Return the baking soda/water to the stove top on a simmer. Add in the risen dough balls about 2-3 at a time to the water. 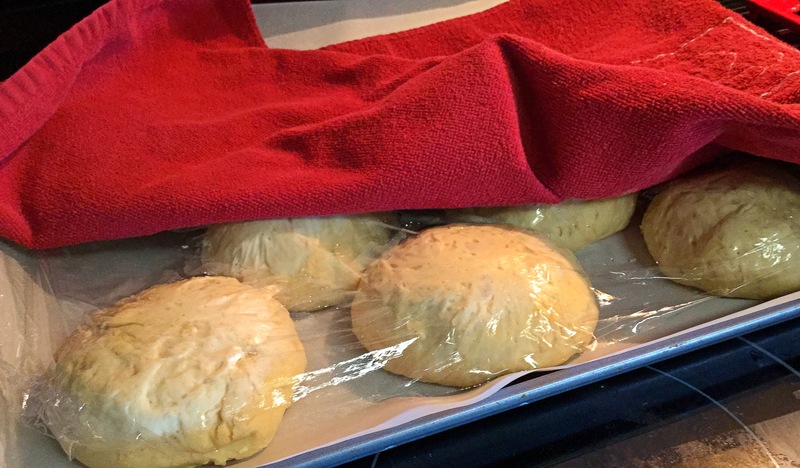 I usually float them for 30 seconds, turn over for another 30 seconds and then transfer them back to the baking sheet. Mix up that egg wash. 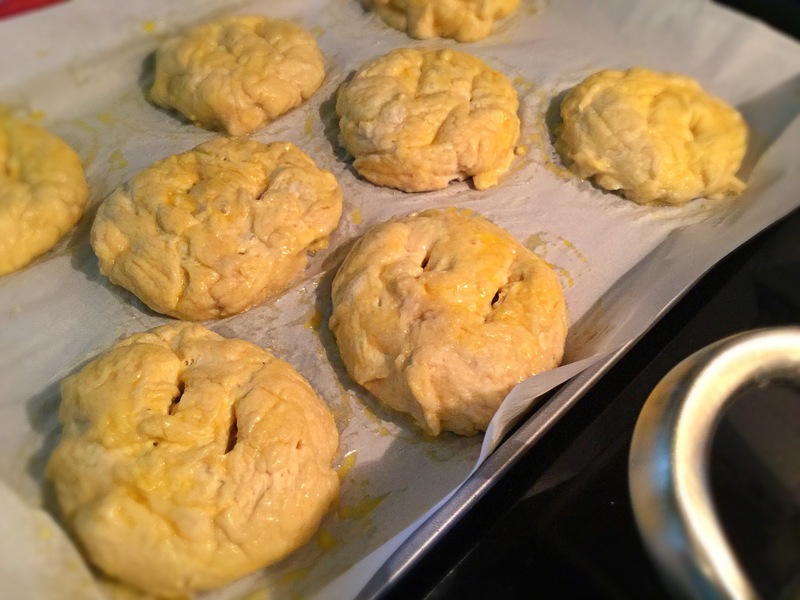 Using a pastry brush, coat the dough rolls alllll over. *I always end up just using my hands. Rub that egg wash all over them and slighty reshape the dough into a round shape. 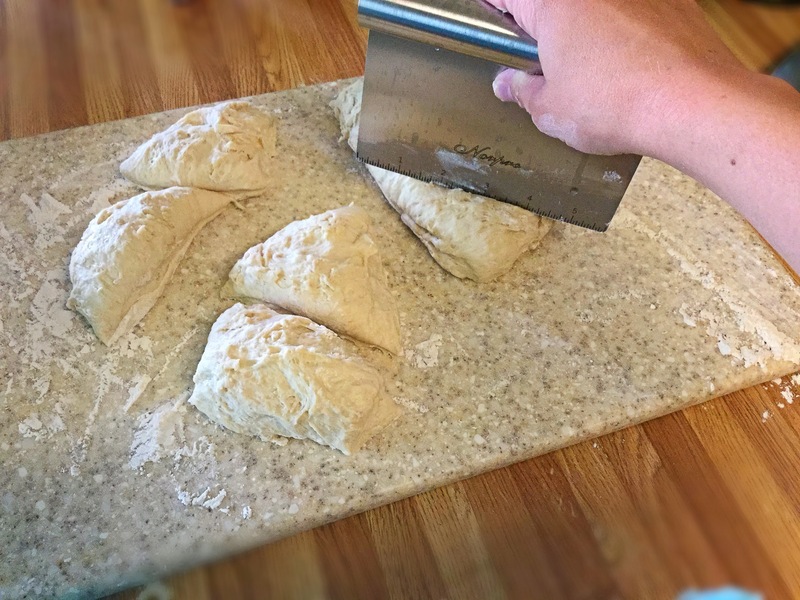 With a sharp knife, make a slight score on the tops of each dough roll. Bake these bad boys in your 425 degree preheated oven for 15 minutes or until tops are a golden brown. Remove from the oven and coat the tops with a bit of the remaining tbsp of melted butter and a sprinkle of kosher salt. Assembly time!! 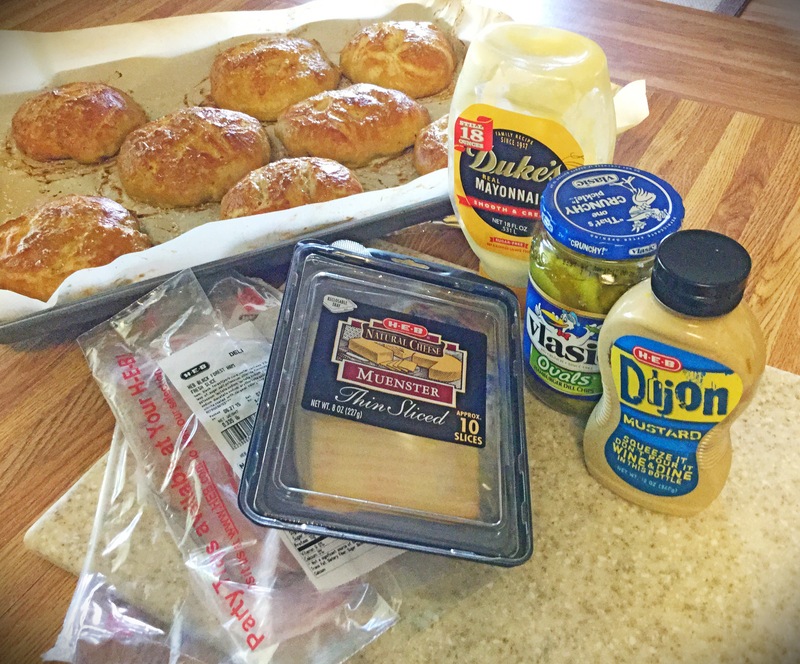 Make these your own with any variety of meats and cheeses, but here is how I did ours..
With a serrated bread knife, I cut each pretzel roll in half horizontally. I topped each side with a good slather of mayonnaise and mustard. I then placed the bottoms only back onto the baking sheet. Next, I added the ham with a slice of yummy, melty cheese. Place this back in your oven to melt and become gooey. *I use the broiler setting, but watch closely. Remove from the oven. 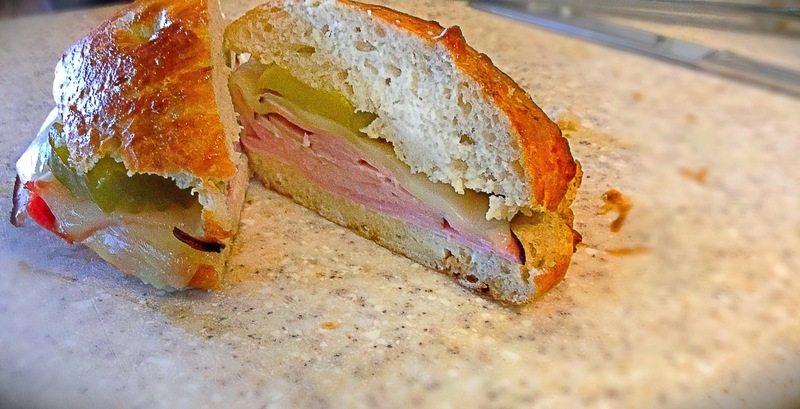 Top off with a few slices of dill pickles and the pretzel roll top…enjoy!! !